The Grizzly 550 Big 3 Package is the best out of the box horsepower available. We designed this kit to be taken out of the box installed and work perfectly immediatly you will not have to find maps or be left wondering if your quad is tuned correctly. 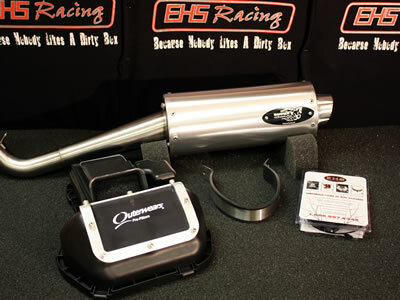 The Full exhaust that comes with this package puts down the most power on the market. It Includes EHS Racing EFI Controller, Airbox Lid, & Slip-On Exhaust in one convient package at a discount rate.